Dr. Masanobu Nanno studied Biochemistry at the Department of Biochemistry and Biophysics of the University of Tokyo and obtained his B.S. degree in 1979. He continued his education as a research student at the Tottori University School of Medicine (1981), at the Tohoku University Graduate School of Dentistry (1985-1987) and subsequently as a research assistant at the Immunology Department of The University of Texas MD Anderson Cancer Center (USA, 1987- 1989). At the time he returned to the Tohoku University he was hired as a research fellow in Medicine (1989-1991) and obtained his Ph.D. degree in Medicine (1991). He joined the Yakult Central Institute (for Microbiological Research) working as a researcher in Clinical Microbiology (1979-1982) and Immunology (1982-2011). He continued his career as Associate Director (2011-2012), Executive Officer (2012-2016), and since June 2016 Managing Executive Officer at Yakult Honsha. 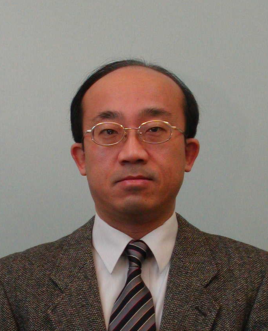 Besides his research activities, he had been a part-time lecturer at the Tohoku University Graduate School of Medicine (1992-2005) and he is a visiting professor at the Tokyo University of Pharmacy and Life Sciences since 1998 to present. His main research fields are: physiological functions of gut immune system and immunomodulation by probiotics.